In the wake of the recent announcement of a new £1 coin to be introduced in 2017, today’s post looks at some of the metals present in the coins of the United Kingdom. 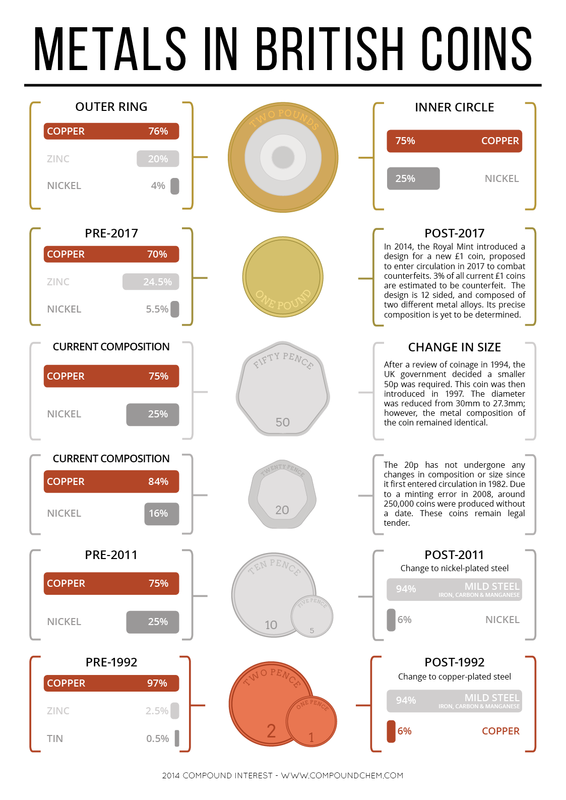 All of these coins are produced using alloys, or mixtures of metals; the main metals used include copper, nickel, zinc and iron. 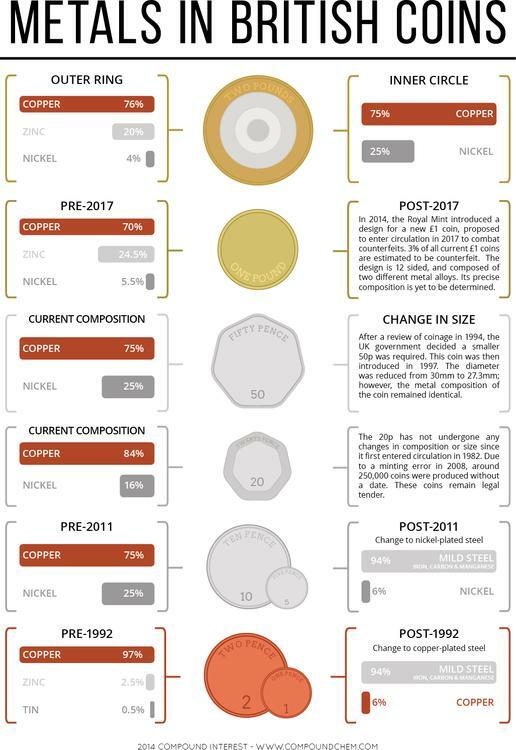 The composition of some of the coins has also changed since their original introduction, for reasons which are examined below.